1. This Circular is applied to manage the infrastructure investment and building in the special difficulties communes under the Decision No 135/1998/QD-TTg dated 31 July 1998 of the Prime Minister. 2. This Circular is mainly guided on Management Mechanism on infrastructure investment and building in the special difficulties communes having small scale, un-complex executing, fast extension and implementation under the suitable specific provisions with real abilities of the ethnic minority people and officers in the local communes in the list of the Decision No 135/1998/QD-TTg. 3. The program on socio-economic development in the mountainous, deep-lying and remote communes with special difficulties is invested by many fund sources as mentioned in the Decision No 135/1998/QD-TTg. The Chairperson of the Provincial People's Committee has responsibility in mobilizing the on-site potentials including loan, material, labor resources supported for infrastructure investment and building by the provincial agencies, branches, economic units, public organizations and people generations in each province and training for officers in special difficulties communes. 4. All fund sources listed inside the Plan for integrated management must be sent to each commune, invested in right aim, real subject, standard quality and avoiding of loss. And at the same time, it must be highest mobilized all fund resources from the people living in the communes inside the list, cooperated their rights, responsibilities and duties into the investment, exploring, usage the construction in the best effective way. 5. Delivery the State Budget funds (both central and local levels) each year must be sure that all special difficulties communes invested suitable upon its demand rates, investment abilities of each commune, but not average delivery. The construction in the Plan should be worked within 1 year, and before opening the new one, the last invested construction had been finished. 6. Investment in infrastructure in the special difficulties communes must be met 2 objectives: first is that commune having construction for public, and the second is creating jobs and increasing income for local people by working that construction. 7. Selecting the investment item in the special difficulties commune must be carried out in public democracy, decided and identified by the People's Council of the commune about its scale, investment priority step, mobilizing ability of the fund resources in that commune. To make sure the integrated investment, suitable with the immediate as well as long-term plan under the existing provisions, the investment plan must be based on the approved project background. 1.1. Investment project: including the infrastructure constructions listed in the Decision No 135/1998/QD-TTg. Upon the concrete conditions of the local, the Chairman of the provincial People's Committee decides the project scale in the district or communal levels. - In the next few years, due to the abilities of the communal cadres still being weak, so the project upon the district level has priority. 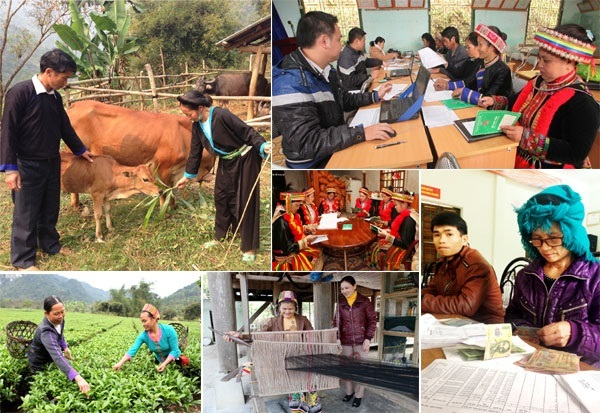 - For the communes where the communal cadres are well skilful, able to manage the project implementation, the project upon the communal project form could be applied under the considering and decision of the Chairman of the provincial People's Committee. Then, in the next few years, almost projects upon the district level, so this Circular emphasizes on the district role in managing, organizing, implementing the infrastructure investment in the special difficulties communes. To assist the Owner of the project in organizing and implementing, managing and building the construction in the commune, the Owner of the project decides to establish a Project Management Board. - The Project Management Board is including Head of Board and some full-time workers. Upon the concrete situation in the local, it could be the existing Basic Construction Management Board or the Permanent Agriculture and Permanent Settlement Board of the district. - The Project Management Board has the juridical personality in opening its bank account at the district State Treasury and its stamp. - Head of Board must be decided by the Chairman of the provincial People's Committee upon the Chairman of the district People's Committee's proposal. - The Chairmen of the communal People's Committees in the component project communes are members of the Project Management Board. - Cost for above-mentioned tasks must be paid by the local budget line, not from the central budget line for this Program. - The infrastructure investment project in the special difficulties communes is implemented by the specific organization which has juridical personality. The Chairman of the district People's Committee decides the organization developing the project and suggests to the Chairman of the provincial People's Committee for final decision or selecting the specific organization who has a role to assist the district authority. 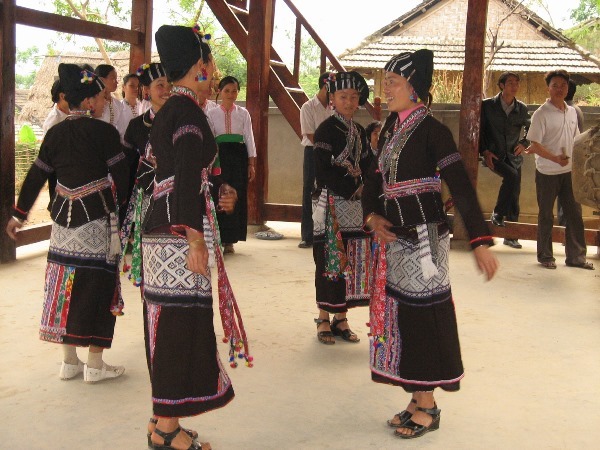 - The project must be submitted by the Chairman of the district People's Committee; to the provincial Department of Planning and Investment, the Finance-Price Department and Board of Ethnic Minorities and Mountainous Areas have responsibilities in revising and submitting to the Chairman of the provincial People's Committee for final decision. - After approved, the project is sent to the Standing Directing Board of the Program in the Central (CEMMA) for summarizing, after then sending to the members of the Management Board for making the annual plan and cooperation. - The investment item in the commune must be prepared the investment steps including making investment report, design, and tentative expenditure. + To the large scale and complex technique construction, the Owner of the project or procuration for Head of the Project Management Board signs the contract with the specific company - mainly the consultant companies in the province - for making the investment report, design and tentative expenditure for the provincial specialist departments revising, after that the Chairman of the provincial People's Committee gives the final decision. 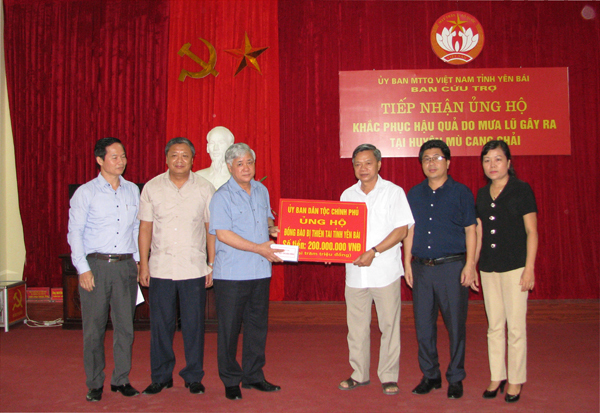 + To the item has small scale, simple technique, the Chairman of the provincial People's Committee empowers to the Chairman of the district People's Committee to decide and coordinate. - The tentative expenditure must be clarified the material and labor sources from the commune. - To the school, health centre items.... should be applied the standard design approved by the Chairman of the provincial People's Committee in order to fix with the traditional and existing conditions of the local. The tentative expenditure of these items including standard design plus the underground part of the items at that place. - Budget for preparing investment of any item must be wrote in that item tentative expenditure. a) If supporting for district in general, it could be mixed with the project budget to divide for each item. b) If supporting directly for commune or concrete construction, it could be sent directly to the commune or the item upon the donor's suggestion. b) If it is invested directly to the communal level or item by cash or material, it could be sent to the commune, construction upon the donor'suggestion. (E) Beside, there is the State Budget resource invests through the line of the National Objective Programs and other programs, projects which have been mixed in the local. So, the investment fund resources for the infrastructure project in the special difficulties communes include A + B (a) + C + D (a). The Owner of the project considers and plans them. To make a survey, examination for developing the mechanism, policies on implementing Program, training the human resource for communal and district level. This budget sum is tentative counted by the Central Directing Board upon the annual Plan, submitted to the Prime Minister for the final decision. The rest budget could be divided to the communes in the Program. Budget for activities of the provincial Directing Board and Project Management Board could be spent upon the approved expenditure of the Chairman of the provincial People's Committee and counted onto the annual local budget line. - The making, summarizing and delivery procedure of the program on socio-economic development in the special difficulties communes could be carried out at the same time with the general Plan developing procedure of the province, but must be reported and listed into a separated part in the annual plan. - Each year, based on the planning guideline of the upper, the district level lists all the approved infrastructure constructions to the provincial level, then the provincial level sends to the Central Program Directing Board for summarizing and dividing the State investment fund resource. Ministry of Planning and Investment balances supporting Central Budget resource of the Program, and submits to the Government. After the tentative budget plan could be approved by the Parliament, the Central Program Directing Board informs the average investment supporting capability for each commune in the next year as the soonest. Upon the Central Budget source, the Owner of the Project and the Head of the Project Management Board discuss with the communal people to select the construction and identify the contribution level of people in each commune, to prepare the necessary conditions for implementing plan as soon as possible. - Delivery the Plan: The infrastructure investment plan in the special difficulties communes is delivered by the Prime Minister to the separated item in the general plan of the province. The Chairman of the provincial People's Committee divides the supporting funds of the Program: the local mobilized funds and the national program funds for each project. Upon the approved plan and the district mobilized funds, the Chairman of the district People's Committee divides to each item. * First: the item that is funded by the Central Budget more than 500 million VND could be implemented following the existing mechanism. - The Owner of Project coordinates and helps the other labors as border solders, local solder, the volunteer, the youth.... for working this construction and developing the local economy, culture. To select the executive unit needs setting priority to the units using almost local labor. After finished checking up, the Project Management Board transits all files, documents related to the construction to the Chairman of the communal People's Committee. The transition letter must be made following the existing rule. 1. The Owner of the Project must design and list the infrastructure building Plan in the special difficulties communes in the list of the Decision No 135/1998/QD-TTg. It is the background for the investment Plan of 2000 and future. 2. The Chairman of the district People's Committee requests the Head of Project Management Board to suggest to Chairman of the provincial People's Committee for the final decision. 3. Due to having no plan for 1999 yet, based on the summarized needs of the communes, the province decides the list of the constructions, informs the capital level to each district for each construction. 4. Delivery and pour out the investment fund in the 1999 Central Budget plan to each commune must be sure that each item invested at least 200 million VND (as the conclusion of the Vice-Prime Minister Nguyen Tan Dung at the Program Directing Board Meeting at 30 September 1999) and the duration for carry out 1 item is one year. 5. The Chairman of the communal People's Committee opens the meeting with communal people to talk about the content of the program, the supported capital level, and the investment trend. 8. To the construction of the year 1999, if it can not finish in time the time can extent to the end of the first quarter of 2000 and must finish in April 2000. - The project management board opens its account at the district State Treasury for managing the investment capital for each construction, each project following the existing financial management system. - The infrastructure investment supporting capital for the communes in the list of the Program can not use for other aim. The construction that can be executed by the people in this commune is advanced 50% expenditure of its plan and liquided upon the finished work and allocated funds according to the finished volume after checked up. The construction that can be executed by the company is allocated funds according to the finished volume after checked up. - Total of the liquidated capital could not be over the approved construction tentative expenditure or the informed plan of capital. When the construction finished, the project management boards make the settlement reports to send to the provincial Directing Board of the Program. This agency coordinates with the related agencies such as the Finance-Price Department, the State Treasury of the province in reviewing, summarizing and reporting to the provincial People's Committee for approving the settlements and reporting to the Central Directing Board of the Program. - Chairman of the provincial People's Committee has responsibility in conducting the functional departments, branches of the province to review the implementing the provisions on investment management, distribution, settlement, liquidation related all the infrastructure items in the communes. The Ministry of Finance will have the detailed guiding letter on investment capital distribution and settlement in the Program. - Pursuant to this Circular, the Chairman of the provincial People's Committee must have the detailed plan, design of the mechanism, policy suitable with local conditions in order to mobilize all the local resources for effective implementing the Program. - This Circular has legal effect since it has been signed. In the implementing process, if there is any unsuitable issue, please contact to the Directing Board of the Program in the Central (CEMMA) for studying, updating.